You might notice a pleasant surprise on your next payday: A slight increase in the amount of money directly deposited to your bank account. New tax withholding standards went into effect this month, which means everyone in the country is now experiencing the effects of the new Republican tax plan. For many, this has resulted in a small, but not insignificant, bump in their take-home pay. But while the marginal increase may seem trivial — what good is an extra $100 anyway?—these small bumps in take-home pay can amount to legitimate savings over the course of a year. To understand how a person should manage these new funds, I turned to the hivemind at r/PersonalFinance — one of the most vibrant personal finance communities on the internet — using myself as an example. Here’s the advice I received on what at least I should do with the increase in my take-home pay. More than anything, the best thing you can do with this additional income is to resist the urge to spend it. That is, you want to avoid the dreaded lifestyle inflation—the phenomenon where people increase their spending every time their pay increases. Rather than continue living their previous lifestyle, they expand their lifestyle to match their new, higher income (buying nicer clothes, dining out more, moving into a more expensive apartment. etc.). The problem with lifestyle inflation is you never make any progress with your savings. This is why people often still struggle to save money after getting a raise, and some even find themselves saving less than before. In short, don’t change your lifestyle at all. Instead, act like that additional income doesn’t exist. Set up a recurring transfer for the amount your take-home pay has increased, and automatically move that money out of your checking account and into a savings account each time you get paid. Once you avoid spending that new cash, you have to figure out how best to save it. One of the r/personalfinance members referred me to this handy flowchart, which details the personal-finance milestones each person should keep in mind, and the order in which you should strive to achieve them. Sure enough, one of the first things a person should do is establish an emergency fund. 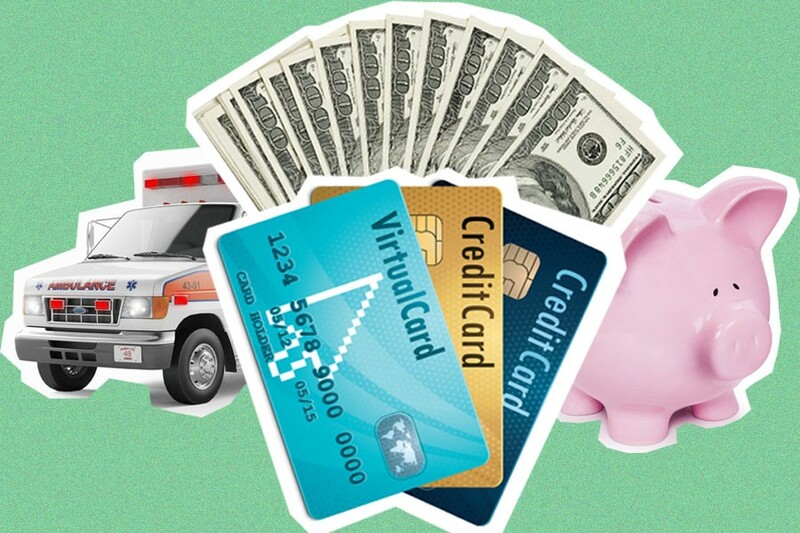 The emergency fund is exactly what it sounds like: a proverbial piggy bank you can break open in case of any unfortunate, unexpected events and corresponding purchases that need to be made, such as car repairs or medical bills. Seems like a no-brainer, right? And yet, most Americans don’t have enough money saved to cover an emergency expense of just $1,000. What makes that figure even more disturbing is that a third of American households did have a major, unplanned expense last year, and half those expenses were at least $2,500. Basically, the majority of our country is one ambulance ride away from financial ruin. Don’t be among that group; start building an emergency fund (if you haven’t already). There should at the very least be $1,000 in it. Others say it should be at least one month’s worth of pay. But ideally, an emergency fund should be six months’ pay or more — to cover you in case you abruptly find yourself out of work. Use that extra money to pay off any debts and get into the black. Some low-interest debts (read: less than 10 percent), such as a car or house loan, aren’t as pressing. But any high-interest debt should be attacked immediately and vigorously. Even just $150 more a month toward your lingering credit card debt, or toward the principal on your student loans can have enormous, long-term cost-savings implications when compound interest is taken into account. If you already have a cushy financial safety net and your debts are paid off, it might be time to consider upping your contribution to your 401(k). If your company offers a match, you should already be taking advantage of that — it’s free money that you will never get anywhere else. But the increase in take-home pay is a great opportunity to contribute more. A 401(k) is (probably) your best retirement savings vehicle, and the more you contribute to it early, the longer you get take advantage of compound interest and the more viable your chances of retiring on time — and retiring comfortably. And isn’t that really the best way to use any increase in income — to figure out how you won’t have to work as long?